Indulge your senses with this exclusive formula with coconut milk, coconut oil, and ultra whipped egg white proteins. This exotic formula helps add strength, elasticity, hydration, and balance. Why You Want It... It's like a trip to the tropics in a bottle. 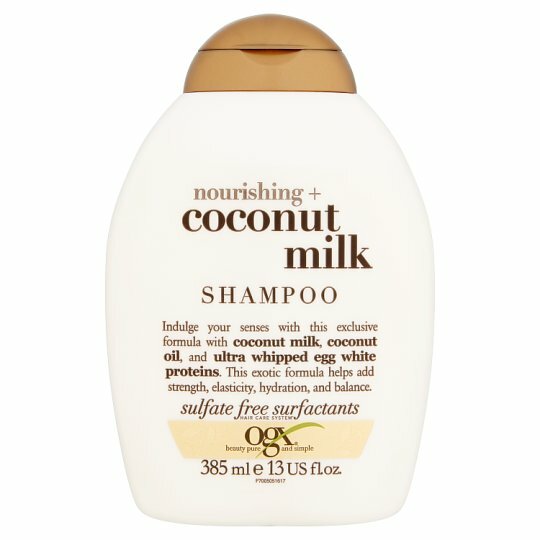 The luxuriously creamy, hydrating formula helps leave your hair feeling moisturized, glowing, and super soft. Warning: Use only as directed. Avoid contact with eyes. If contact occurs rinse immediately. Keep away from children. For best results use in conjunction with the OGX products.